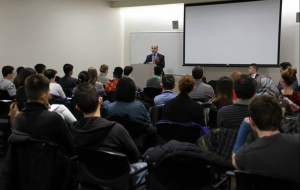 On Wednesday, January 27, Ambassador Mahmoud Saikal was invited to address students at New York University as part of the UN Initiative on “Discussion with a Global Leader” series to celebrate the 70th session of the UNGA. Ambassador Saikal appreciated the initiative by NYU to engage global leaders in conversations with the youth, who are at the forefront of shaping global policy in the future. He noted that this initiative also provided students with an excellent opportunity to grapple with multifaceted problems challenging global peace and unity today. 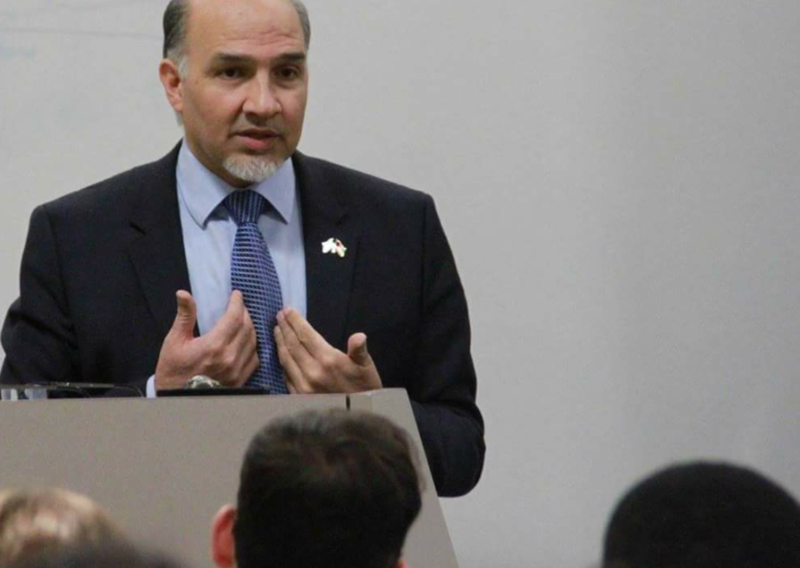 Ambassador Saikal gave the students an overview of the current situation in Afghanistan and the region. This was followed by a question and answer session on topics ranging from the ongoing resistance against extremist groups (Taliban, Haqqani network, ISIS, and others), role of the region in Afghanistan’s affairs, presence of US & NATO troops, constitutional reform, National Unity Government and political framework in the coming years, and economic issues, anti-corruption measures and the role of foreign aid. The evening provided the students with a better idea of Afghanistan and its challenges and progress, and fostered dialogue on what can be done for Afghanistan to continue on its path of transformation.